A local Facebook page recently shared old photos of the famous scientist in Ipoh. The British physicist travelled to Malaysia in September 1994 and it was a momentous occasion. It's not everyday that Malaysians have the chance to meet one of the most brilliant and extraordinary minds in the world. There were several highlights of Hawking's trip to Malaysia, one of which was when he delivered a public lecture on 'Life in the Universe' at the Merdeka Hall of the Putra World Trade Centre (PWTC) in Kuala Lumpur. About 3,500 people were reportedly present at the event. "Hawking had always wanted to visit Malaysia as he had heard glowing reports about the country from his Ipoh-born Malaysian Chinese nurse," chairman of the Tan Sri Augustine Ong Fellowship Trust, Datuk V. L. Kandan wrote in a letter published on The Star Online after Hawking's passing in March. 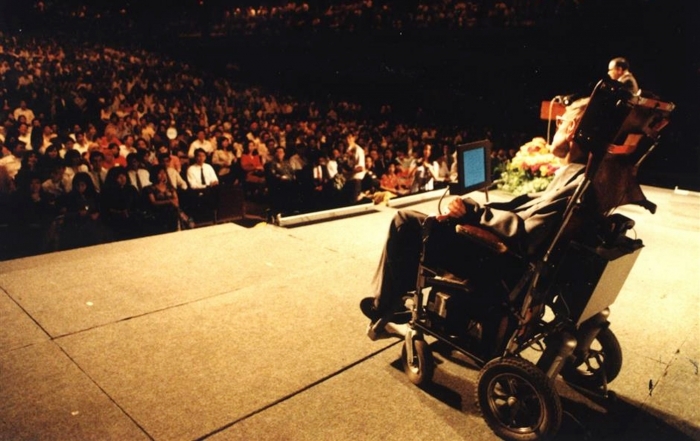 Kandan was an instrumental figure who played a role in Hawking's visit in 1994, as he had gotten into contact with Hawking with the help of the then director of the British Council. 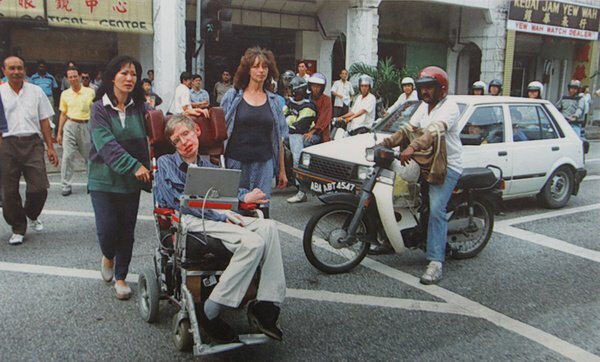 Although Hawking's travel itinerary was confidential, locals came to know about his visit to Ipoh as he was spotted on the streets, according to a Nanyang report. People quickly recognised that the famed genius was in town. A former reporter based in Ipoh recalled that Hawking had followed his nurse, who is the daughter the owner of a famous local bakery, to Ipoh after his talk in Kuala Lumpur then. Once the former reporter heard the news, he quickly made his way to look for Hawking. And when he did, he didn't miss the opportunity to get a photograph together with Hawking as well as other members of the media who were there. 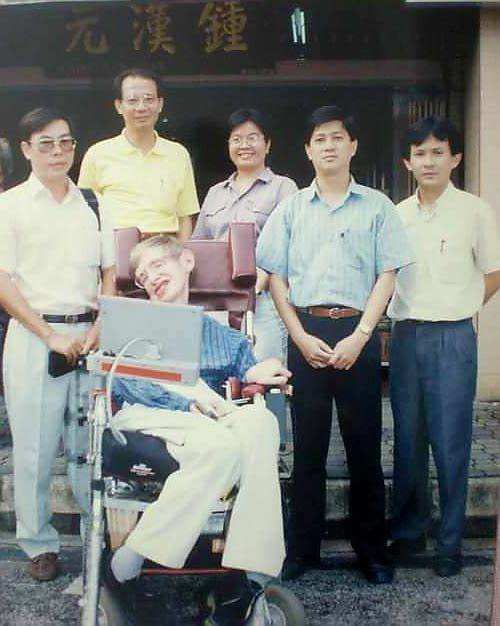 Most recently, the Ipoh Echo's Foodie Guide Facebook page shared two photos featuring Stephen Hawking at Ching Han Guan Biscuits, a bakery that has been around in Ipoh for decades. 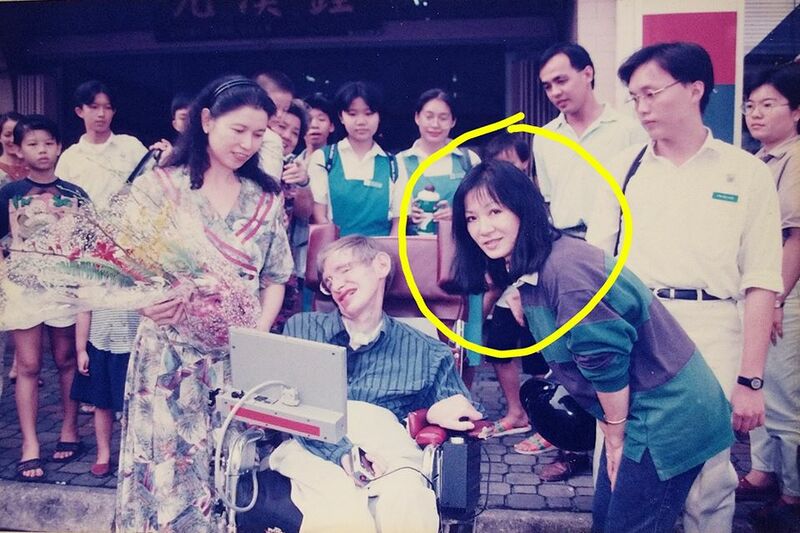 "The lady in yellow circle is the nurse (from the Ching family) who took care of Stephen Hawking. Despite having a strict diet he did try durian," Ipoh Echo's Foodie Guide wrote in one of the posts. The posts have gotten the attention of many netizens, with one of the posts also being shared by the British High Commission Kuala Lumpur on its Facebook page. Kandan revealed in his letter that an invitation was extended to Hawking to visit Malaysia for the second time three years ago. However, Hawking was already too ill to travel long distance then. Hawking, known for defying a normally fatal illness - amyotrophic lateral sclerosis, or ALS - for more than 50 years, has made a lasting impression on Malaysians who had the chance to meet him more than two decades ago. This is evident as they spoke greatly about the man and paid tribute to Hawking, who passed away at the age of 76 on 14 March. Strangely, Penang and Sarawak did not make the list.